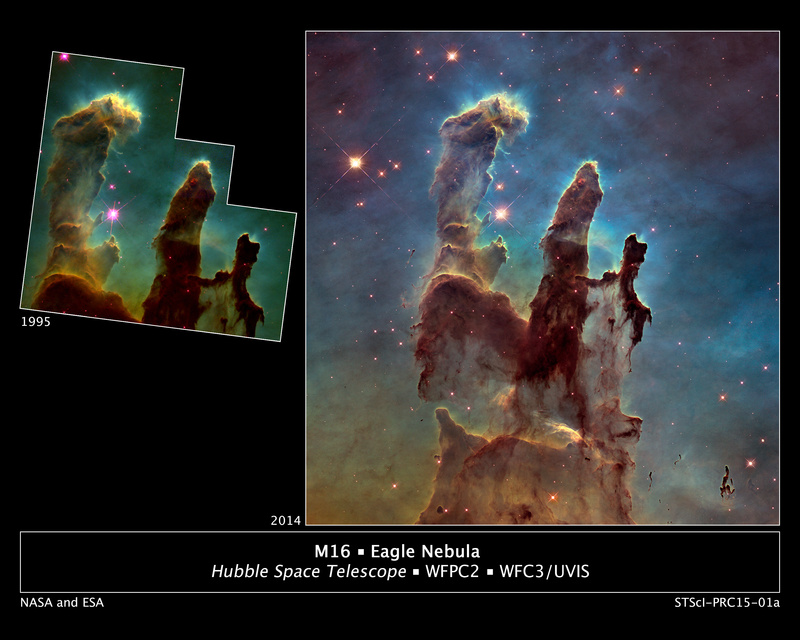 This image is based on data obtained by the Hubble Space Telescope and shows something dubbed “The Pillars of Creation”. 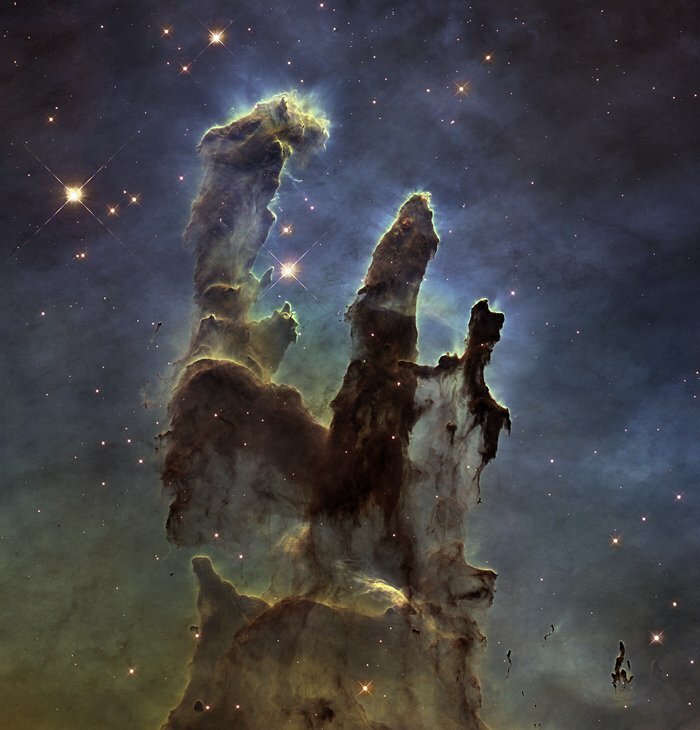 Stars are created here. They form in clouds of dusty material which contracts into glowing spheres (sorry Flat Earthers!) by means of gravity. Thinking about stuff like this is an almost spiritual experience.